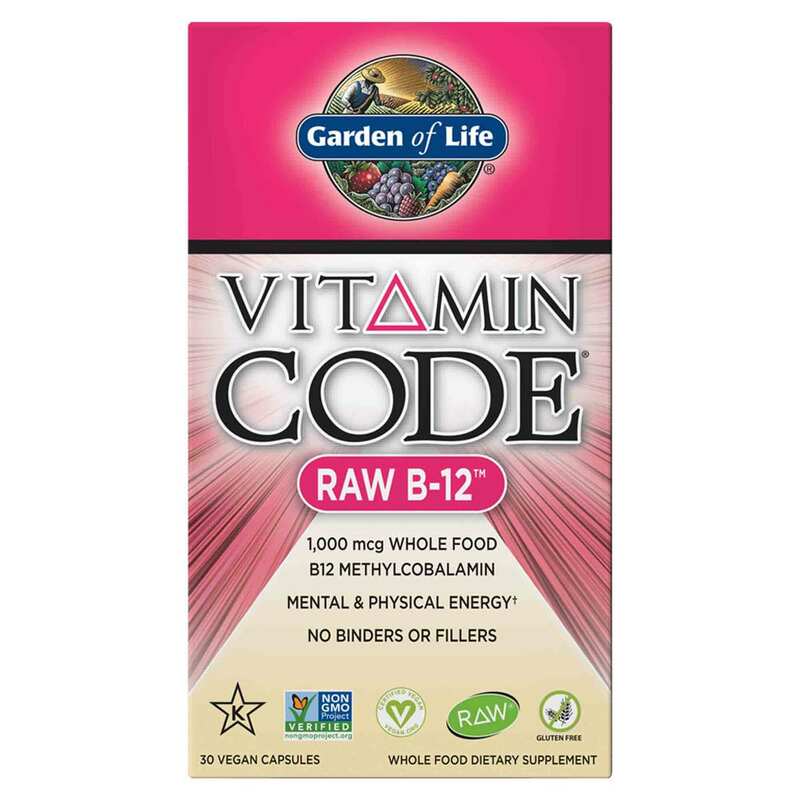 Support your body's natural metabolism and energy production with the daily dose of whole food nutritional support in Garden of Life's Vitamin Code RAW B12. 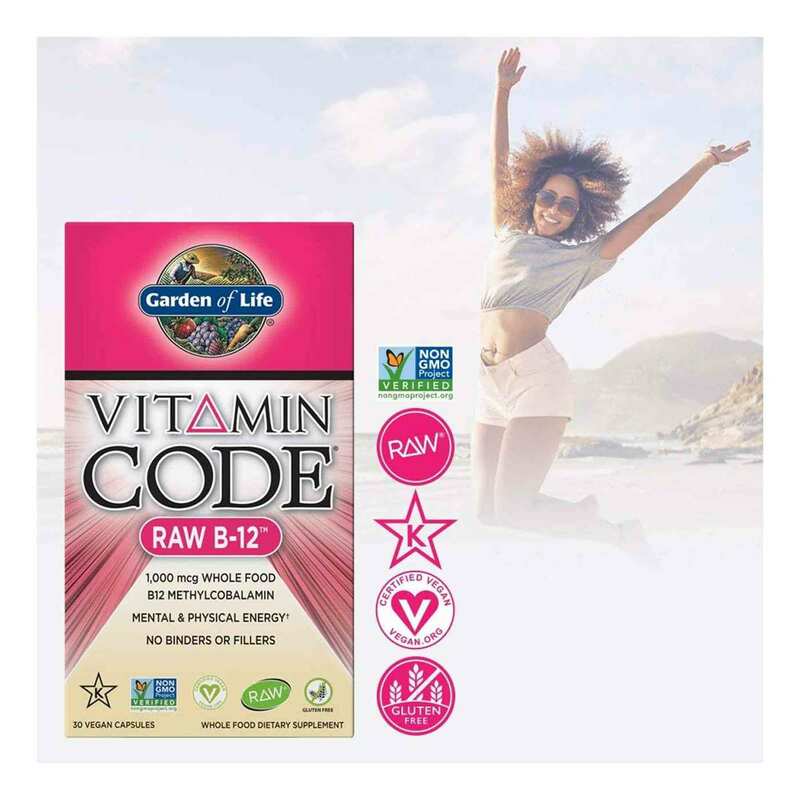 Vitamin B12 is an essential nutrient that helps in DNA creation and synthesis and plays a role in cellular metabolism, energy production and nervous system and cognitive health. In other words, your body can't stay healthy without it. Though it's created and stored naturally in the body, it's the most commonly cited nutritional deficiency in many areas of the world, and daily supplementation is often required to maintain wellness and prevent against anemia, fatigue and low or sad moods, digestive problems and heart disease. Vitamin Code RAW B12 delivers the awesome benefits of this B complex family member combined with a RAW Probiotic Enzyme Blend for digestive health and immunity and a RAW Organic Fruit and Vegetable Blend for added nutritional support. Each ingredient is derived from whole food sources. 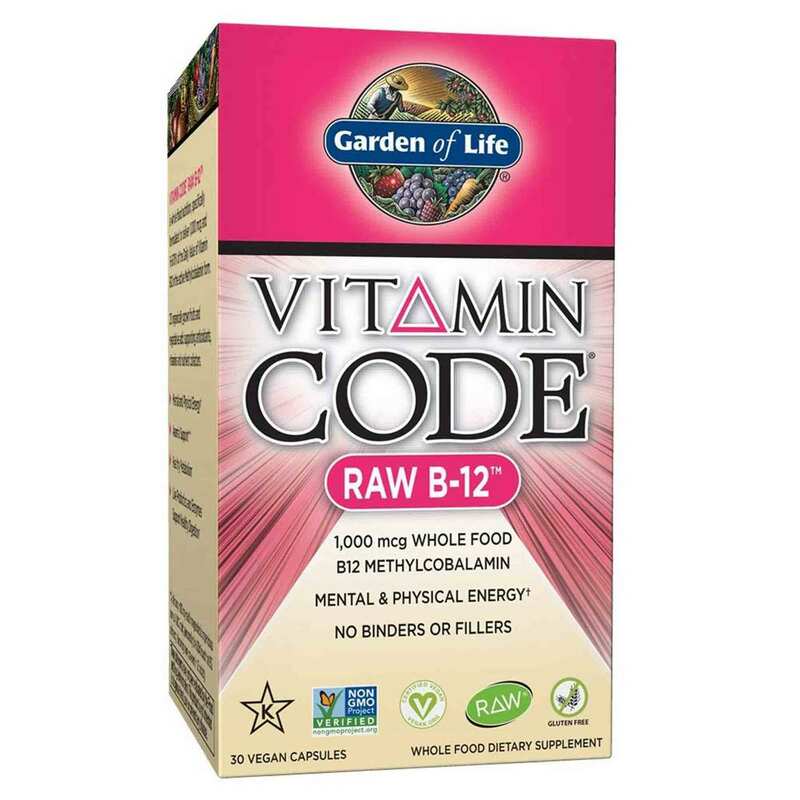 They're cultivated raw, untreated and uncooked to enable your body to naturally recognize and utilize nutrients. Advertências: As with any dietary supplement, consult your healthcare practitioner before using this product, especially if you are pregnant, nursing, anticipate surgery, take medication on a regular basis or are otherwise under medical supervision. Keep out of reach of children. Do not use if safety seal is broken or missing. 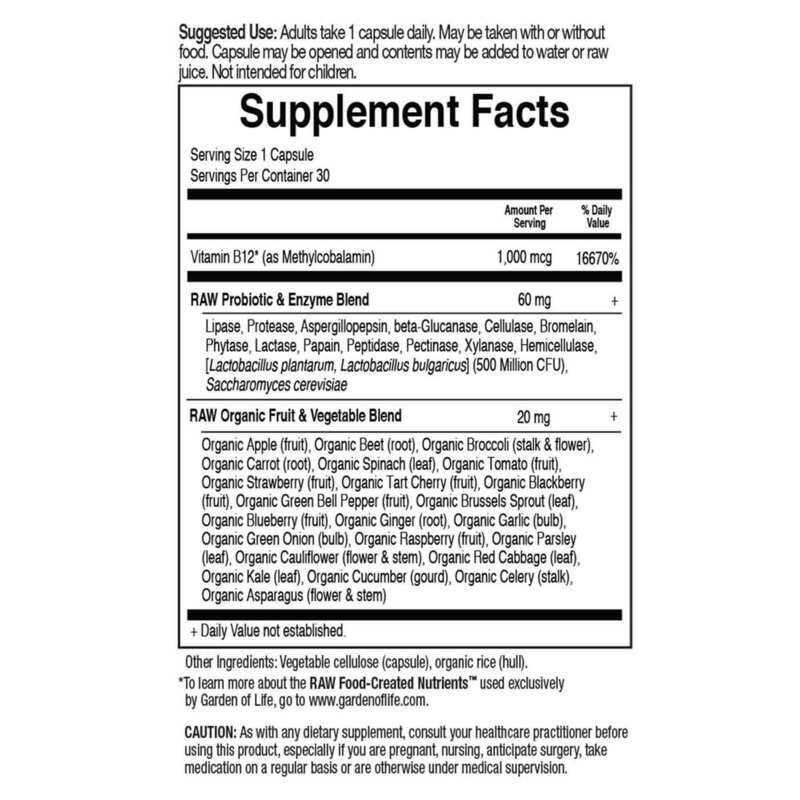 Notas: Contains no filler ingredients, artificial colors or preservatives. 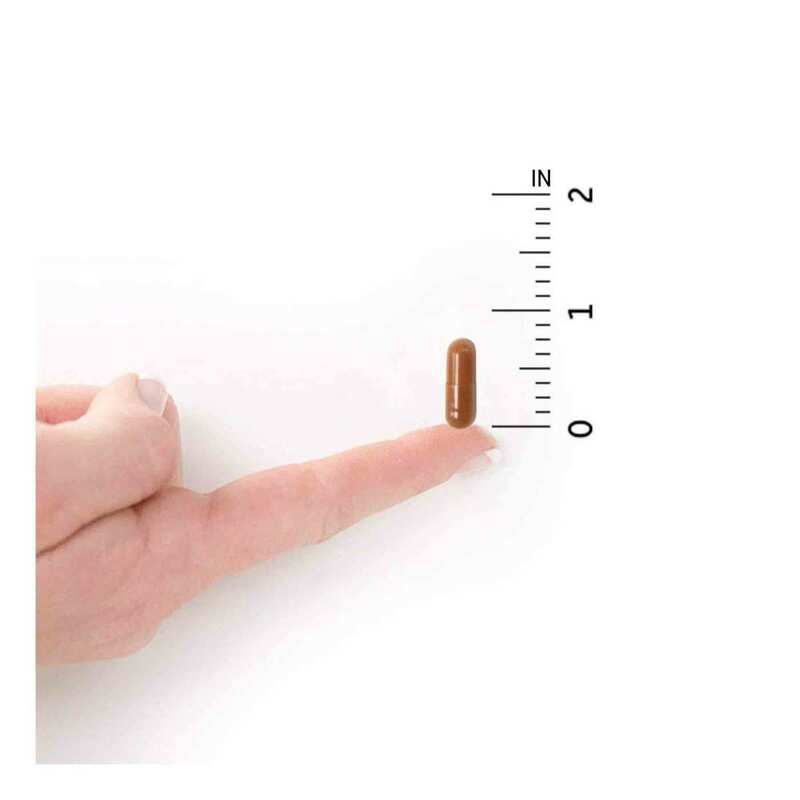 Recomendações de uso: Adults take 1 capsule daily. May be taken with or without food. 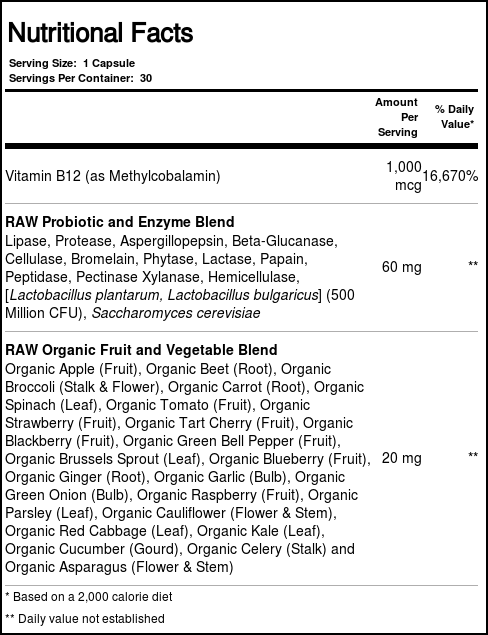 Capsule may be opened and contents may be added to water or raw juice. Not intended for children. As avaliações dos clientes postadas abaixo são baseadas em experiências individuais e NÃO representam necessariamente os resultados esperados ao usar/tomar Garden of Life Vitamina B12 Código RAW 30 Cápsulas Vegetarianas. Esses resultados podem ser atípicos e você não deve necessariamente esperar ter os mesmos resultados. Os resultados reais podem variar. Os níveis de energia são melhores e o produto não me deixa instável.